Almost everyone enjoys listening, dancing, and working to music. It is not a surprise that the emotional response invoked while listening to music is therapeutic. Most people cannot listen to a piece of music and not have some part of their mind and body affected. When it comes to addiction, music therapy and dance therapy go hand in hand to make a well-rounded treatment approach. Many of the symptoms of addiction are at least lessened by the addiction of music assisted therapy to an overall recovery program. When considering music assisted therapy it is important to know where music therapy came from, how it is used, as well as the benefits and risks of engaging in this type of therapy. Music therapy is used in holistic treatment to help people recover from the effects of addiction. According to the American Music Therapy Association, music therapy is a therapy that uses music to help address cognitive, emotional, physical, and social needs of a person. When an addict engages in music therapy, it provides an outlet for the challenges that withdrawal brings. The clinician assesses their exact needs and then uses music to help the addict properly express him or herself. It is a researched, recognized therapy method for all individuals including those who are in acute and secondary withdrawal. It is said to increase the emotional, mental, and physical support that the client needs. One of the most important aspects of music therapy is that it gives an addict the ability to express negative emotions constructively. In music therapy a therapist, plans a musical session or scenario and uses the different types, beats, and tempos of music to influence the brain and emotions of an addict. Music may activate several or all of the centers of the brain simultaneously and helps addicts to identify and create new neural pathways. Therapists who use music therapy know that it directly affects the cognitive, physical, and emotional functions and abilities of the listener. Although music and music in hospitals is prominent throughout history, it was not until 1789 that someone specifically recognized its therapeutic benefits. In the early 1800s Dr. Benjamin Rush began using music to treat various illnesses. His students rapidly noticed this practice and throughout the 1800s music therapy gained popularity. During the music therapy boom, music therapy began popping up in institutions all over the world. In the early 1900s many therapists attempted to form associations to share their knowledge of music therapy to other clinicians. Most of these failed miserably and music therapy did not develop into a clinical professional organization until the 1940s. The founder of music therapy, E Thayer Gaston, was the first individual to move music therapy into college courses. He was the first person to guide students through classes based on music therapy alone rather than simply add it to others. The first therapeutic association, The National Association for Music Therapy was founded in the 1950s, giving music therapy more legitimacy in hospitals and institutions. The theory and practice of music therapy progressed and is now the foundation of many therapeutic sessions. Music dance therapy – subjects listen to a style and creatively add physical movements to it. This type of therapy focuses on the physical benefits of movement and creativity. Music physical therapy – this builds muscle, reduces weight, and improves health using music to accompany a physical routine. Music cognitive therapy – this type of therapy focuses on the addict’s interpretation of the music and how the music represents their individual state of mind. Music emotional therapy – this type helps the addict sort through both positive and negative emotions. Music conflict therapy – focuses on helping addict move through conflicts both personal and emotional. It is designed so that the user focuses on internal and external conflicts that they feel about their addiction and the people in their lives. Music social therapy – this therapy focuses on social interaction and learning new communication and socialization skills through music. Music emotional therapy – this focuses on the emotional aspects of music and how to recognize positive and negative emotional responses. Music extinction therapy – extinction therapy of any kind is difficult to undertake. In musical extinction therapy, the goal is to break an association between a song or style of music and addictive behavior. Each type of musical therapy can be used for the different issues that an addict encounters in their therapy. 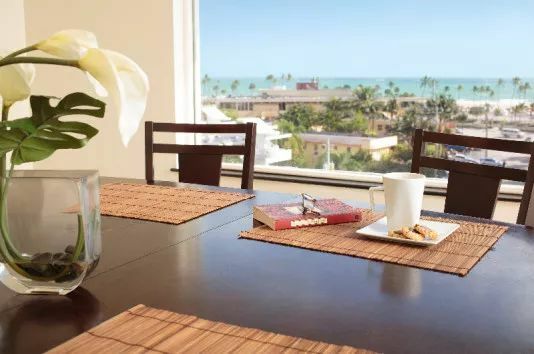 They help to form the pathways needed to get through withdrawal and recover from the debilitating emotional, social, and physical aspects of their addiction. How is Music Assisted Therapy Used to Treat Addiction? Music assisted therapy helps addicts to calm their minds and acts as a bridge between the chaotic mind of addiction and the peace that meditation brings. Some addicts have a difficult time entering into the meditative state that so many other therapies are based on. In these cases, musical therapy bridges the gap between a mind in withdrawal and the deep state that is beneficial to everyone when the mind is calm. Music also acts as a calming influence to those addicts who are violent, anxious, or emotionally disturbed by withdrawal. Each type of music may be used to induce a different emotional state, allowing addicts to recognize their emotions and deal with them accordingly. This is a way for therapists to reach the emotions without using a deep meditative state. Addictions start as a change in the chemistry of the brain. Music also effects brain chemistry. Music is used to make repetitive positive changes in brain chemistry as the music influences the emotions of the addict. It can also teach some receptive addicts to control the emotions and stressors that made the addict turn to drugs in the first place. As part of a creative or artistic therapy program, music therapy shows addicts who are not artistic how to express their emotions in a positive way. It teaches the same expression ability as regular art therapy does. What Types of Addictions are Treatable Using Music Assisted Therapy? With music therapy, the type of addiction does not particularly matter. All addictions have similar behaviors, symptoms, cognitive, and behavioral consequences. Music therapy addresses these issues without having to address a particular or addictive behavior. Since there are no limits to the type of music and type of therapy, it works well in almost all situations except for those of addicts that dislike music completely. These conditions are often associated with addiction. Music therapists can use music to treat both an underlying disorder and an addiction at the same time. Music therapy may also be combined with other types of behavioral and cognitive therapies. Who is a Good Candidate for Music Assisted Therapy? Anyone addicted to drugs, alcohol, or behaviors is a good candidate for one of the varied forms of musical therapy. Since there are so many issues that musical therapy helps to resolve, there really is not an aspect of withdrawal that it may not be used for. One of the best candidates for music therapy are addicts who view music in a positive way. Music therapy is most helpful in these circumstances. It has also been used to treat depression, mania, and other psychiatric disorders. Music therapy helps secondary disorders as well as the primary one of addiction. People who are withdrawn emotionally and socially may also benefit from a form of group musical therapy. Some people find it easier to bond with music around them than they would in a quiet room as a group. The quiet itself can cause people to stay removed from each other. Physical movements help to alleviate stress and improve overall body health without being boring. Music influences emotions providing a way for therapists to change emotions and helps addicts learn to change their own stressful emotions to more relaxed meditative ones. It may act as a social conduit for interaction with therapists and other addicts. It can be combined with other therapies. 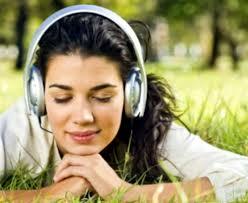 Music can distract the mind and allow addicts to focus on the music rather than on their individual withdrawal symptoms. Music has been known to improve overall mood and reduce anxiety and depression levels. There are many benefits to music therapy that are unrealized as yet. Many addiction professionals currently under utilize music as a device in therapy. The key drawbacks to using music therapy lie in deciding which types of music to use. To influence emotion, the music has to be one that an individual associates with the emotion. Unfortunately, not all addicts respond the same to each type of music. What makes one addict relax may agitate and annoy another. Musical preference plays a key role in the ability of music therapy to work. Therapists need to take the time to discover which musical preferences an addict has. Chamber music or classical is not beneficial to all patients. In most therapies, soft or mellow music is used to calm but not every patient is calmed by it. It could have the opposite of the intended effect. The client might become aggressive if mellow music is played especially if the addict associates that music with something negative or as a trigger for their addiction. For the most part, music is viewed as a positive relaxing conduit to change. Unfortunately, there are a few circumstances where music incites negative emotional changes in the addict. These incidents often happen when there is an underlying cause or behavior to the addiction that is also negative. One of the major risks of music therapy is the association between certain types of music and drugs, behavior, or alcohol. If a specific song or type of music is associated with the drug or action of choice, the therapy might cause a relapse unless the therapist is using music therapy as an extinction therapy. This type breaks the association between the music or song and the behavior. It is rare for a therapist to use music extinction therapy except in extreme circumstances. Certain types of sound and music can cause an addict to become aggressive, withdrawn, depressed, and anxious. It is important for the musical therapist to recognize these patterns and avoid them if they are not therapeutic to the client. In this incidence, the music therapy might be dangerous to both the addict and the therapist. This reaction happens when the music invokes a violent or negative behavior and the addict acts on it. Although music therapy is relatively new, music is not. Most people listen to music for pleasure and to make time pass. When a particular type of music is relaxing to a patient, it can help them achieve a meditative state. Music assisted therapy has the potential to influence all aspects of addiction recovery. It is unfortunate that some of those aspects are both positive and negative. Music therapy improves relaxation, physical exercise, emotional, and cognitive response. It is a wonderful way to help patients socialize and gain control over their emotions.